If there is a place that symbolises Dublin’s resurgence over the past few decades it is its docklands. 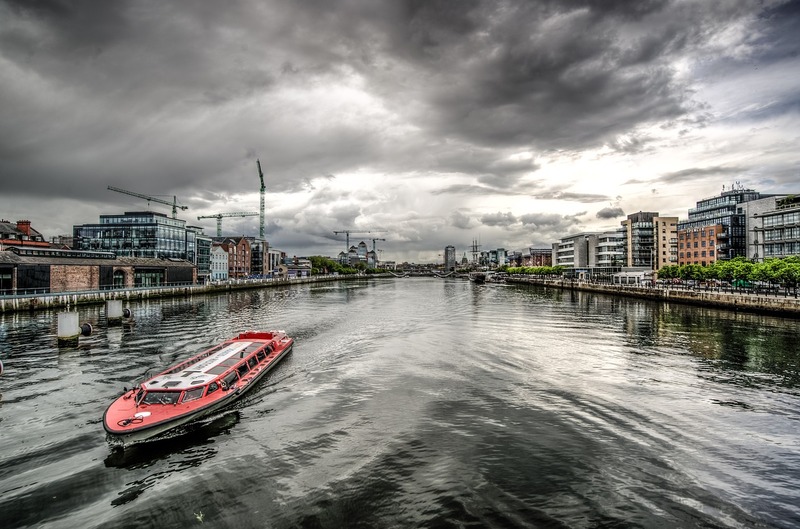 These acres of land on both sides of the river Liffey were once derelict spaces that represented the city’s industrial decline; today, it’s a place that’s breathing new life into the Irish capital thanks to its burgeoning technology scene. Ireland, after all, has had a lot to recover from. Like pretty much the rest of the world, it’s endured a period of deindustrialisation, a time of great structural change, getting to grips with the emergence of new, service-based industries instead. But it also suffered a serious economic downturn towards the end of the noughties which saw the country plunge headlong into recession. Things are different today, though. Dublin’s Docklands area is now known as Silicon Docks. The clue’s in the name. It’s here that a host of major players in the tech and digital spheres have set up shop. Reeling off just a few is like a who’s who: Google, Facebook, Amazon, eBay, Microsoft, Apple, Airbnb – they all have offices here. But it’s not just the household names. Dublin is attracting start-ups too, as smaller, innovative firms forego London or New York and call Ireland home instead. Why so? Here are four reasons. If you’re looking to recruit talented people, you probably won’t need to look abroad. Dublin is home to three internationally-ranked universities — Trinity College Dublin, University College Dublin and Dublin City University — and a number of tech institutes including the Dublin Institute of Technology. Collectively these places produce around 26,800 graduates every year. What’s more, Dublin’s educational institutions have strong links with the city’s employers, so a talent ‘pipeline’ is pretty much always on hand. Startups don’t always have an easy ride. Setting up and growing a business can be a Herculean challenge and all startups will, at some point along the way, come across a few bumps in the road. Thankfully there’s help at hand. One thing begets another, the saying goes, and there is a host of businesses offering support for smaller companies. Often this involves a new way of looking at things — why invest in loads of expensive IT equipment you’ll hardly use when there’s the option of laptop hire as and other hardware rentals as when you need them instead? Why pay for an expensive marketing agency to promote your business when you could hire a freelance expert for a few days a week? If you do business in Ireland, you’ll pay corporation tax of 12.5 percent. In the UK it’s 19 percent. In China, it’s 25 percent, in Germany 30 percent and in the US 35 percent. Dublin has one of the most attractive corporate tax rates in the whole world, and it’s a rate credited with driving the country’s enterprise environment. It’s no wonder startups are coming in their droves. What’s more, eligible companies can also qualify for a 25 percent research and development tax credit — this means firms can claim a refund of €37.50 for every €100 worth of R&D expenditure. Looking for a new city to call home? Dublin should almost certainly be top of your list. By Irma Hunkeler https://www.lifehack.org/author/irma-hunkelerHead of Operations and Content.